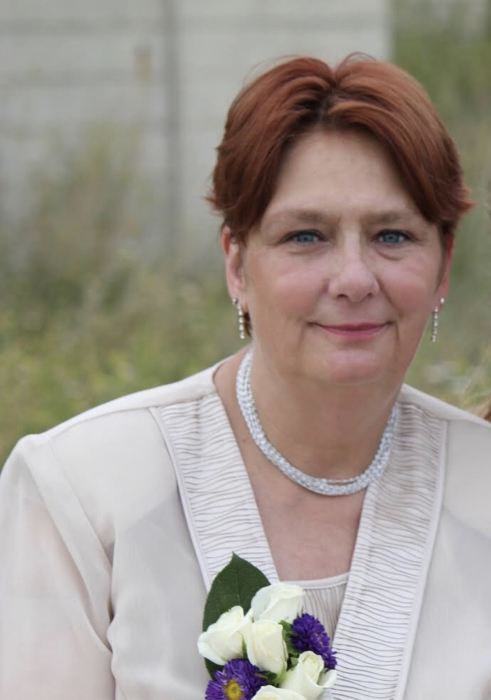 Debra Lynn Gable, age 62 of Mishawaka, passed away at St. Joseph Regional Medical Center on April 1, 2019. Debra was born January 25, 1957 in South Bend, Indiana to the late Ed and Hilda (Massey) Roe. Debby was a graduate of Mishawaka High School, class of 1975. She was employed as a Home Healthcare Aide and Direct Care Caregiver to the disabled throughout the Michiana area for over twenty-five years. Surviving are her children Brandon Roe of Elkhart, Thomas “TJ” (Kristin) Gable of Clinton Township, Michigan, and Megan Gable of St. Petersburg, Florida. Surviving as well is her granddaughter Emilia Gable and her siblings Kay (Tom) Mroz of Mishawaka and Walter (Lina) Roe of LaPorte, Indiana. Debby is survived as well by three nieces and a nephew of whom she was very fond, and her “B.F.F.” Donnell Diggins of South Bend. Visitation will be held at Cruz Family Funeral Home in Osceola, from 5-7 pm Friday, April 5, 2019 with a celebration of Debby’s life beginning at 7:00 pm. She will be laid to rest at a later date. Debby was a generous and caring free-spirited woman who loved music, wearing tie-dyed shirts, and hats of all kinds. In her spare time, she enjoyed reading and writing poetry, but most of all, Debby cherished the time she spent with her family. Even in death, Debby put the needs of others first. As an organ donor, she gave the gift of sight to someone in need. Her gentle and giving nature led her to participate in many local walks for Breast Cancer Awareness and fundraisers for the Logan Center. Her generosity and kindness will be missed by those who knew and loved her. In her memory, donations may be given to the Logan Center. To leave an online condolence for the Gable family, light a virtual candle in Debby’s memory, or to view her online video tribute, please follow the links provided on the Tribute Wall tab above.